I guess you can teach an old dog new tricks. In this case, I am the old dog. The new trick is a profounder, deep-rooted understanding of the psychoanalytic concepts I have been immersed in for years. My rediscovery of psychoanalysis’ brilliant take on the workings of the human unconscious has emerged not within the patient/analyst dyad but in my relationship with an animal. Sometimes you have to wander outside the familiar milieus of consulting room and conference hall to gain fresh insights into what you think you already know. For me, I wandered into the world of puppy husbandry. The kids were launched. The nest was empty. Life was an uncomplicated and spontaneous mix of work and personal pursuits. Yet, as I saw that I had more years behind me than were in front of me, I knew there was at least one thing missing. I wanted to raise a puppy from scratch. I was set on a rescue dog. As many have pointed out, therapists rescue others to rescue themselves. 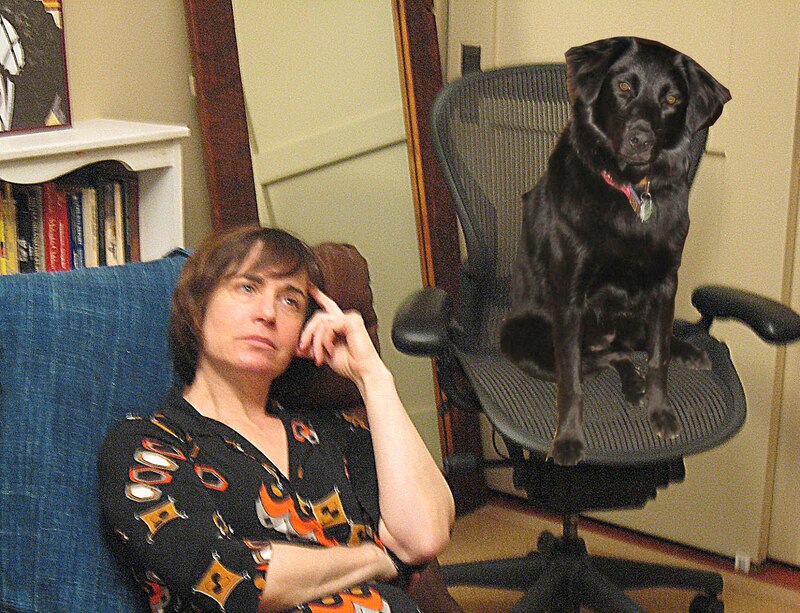 Years before I had good luck with an older black lab mix shelter dog named Maggie. For my new puppy I was determined to branch out to some other mutt combination. Psychoanalysis teaches us that people are drawn repeatedly to early objects. Thus, after researching many different breeds and visiting various shelters, I impulsively adopted a black lab mix who was a doppelgänger for her predecessor. I struggled with what to name the new puppy. Ultimately, in a Lacanian sense of inevitability, I shuffled a few letters around and rhymed her , Moxie. "Hmmmm," I hear my former analyst murmuring triumphantly, "Moxie, Maggie, Ma...Ma...Ma...Mama, Mother!!" From the moment this 3-month bundle of cuteness entered my life my understanding of Winnicott's notion of maternal preoccupation deepened. I monitored, prepared for, and obsessed about Moxie's house training. The rhythm of my days was organized around her toileting, sleeping, and eating behaviors. I suspect this must have happened when my human children were infants. But then I was, well...too preoccupied to notice. 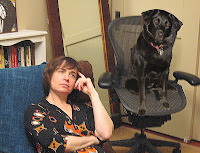 With little Moxie, I could stand in the spaces between my obsessive puppy-caring self and my cynical, observing self. The latter liked to remind the former to get a life. · “Binky is uncomfortable around that pit bull"
Sometimes insights come from unfamiliar and unexpected places. Raising Moxie has taught me plenty about psychoanalysis and the human mind. While animal behaviorists might say that when she looks at me she is calculating, “What’s that nice lady got in her hand and can I eat it?,” I sense so much emotion, so much intention, so much kinship, and attachment. I realize, paraphrasing Winnicott, that for me there is no such thing as a puppy. Only a puppy and her pet owner -- an interlinked couple of mutual and symbiotic connection. 'twould seem dogs, not eyes, are the mirrors to our soul. Training your new lab puppy to take toys and treats gently is a great way of controlling his behaviour. This way your puppy will learn how behave in the way that you want him to. If he's good he will get a treat and praise.